Cloudy skies. Slight chance of a rain shower. Low near 45F. Winds ESE at 5 to 10 mph. 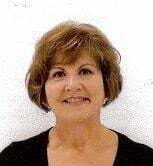 Karla Sue Hays, 61, of Beatrice, died at her home on Thursday, Oct. 8, 2015. She was born Sept. 16, 1954 in Pawnee City and graduated from Fairbury High School. She continued her education and received her B.S. degree in dental hygiene from the University of Nebraska. Survivors include two daughters, Lauren Hays of Omaha, and Emily Hays and significant other Adam Smith of Salt Lake City, Utah; one brother, Kent Neuhaus and wife Mary of Lincoln, and one nephew, Alex. She was preceded in death by her parents, Harold and Helen Neuhaus, and one son, Colin Hays, who died Nov. 5, 2014. Memorial services will be held Monday, Oct. 12, 2015, at 1:30 p.m. at the St. John Lutheran Church of Beatrice, with Pastor Greg Gabriel officiating. Inurnment will be at a later date at the Evergreen Home Cemetery of Beatrice. Cremation has taken place. A guestbook for signatures will be available at the Fox Funeral Home from noon Sunday until 10 a.m. Monday. A family prayer service will be held Monday at 1:15 p.m. in the chapel of the church. A guestbook for signatures is also available online at www.foxfuneralhome.net. In lieu of flowers, a memorial has been established to the family’s choice, with Paul and Alicia Garnett in charge. Fox Funeral Home of Beatrice is in charge of the arrangements.